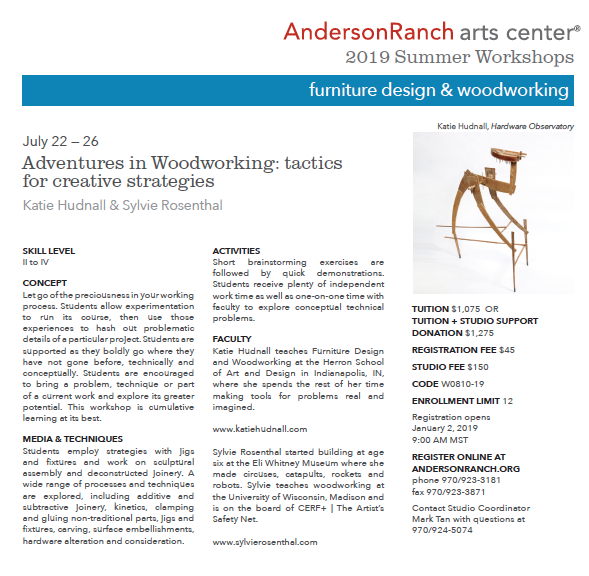 The amazing Sylvie Rosenthal and I will be team teaching a class at Anderson Ranch this July!!! This is a total dream for me, and I hope you’ll join us! For more information visit Ranch’s website here.